Osteoarthritis is one of the major debilitating diseases seen in both dogs and cats over the age of seven. Signs can be subtle in early stages. If your pet is experiencing delays or difficulties in getting up from a resting position, stiffness, reluctance to jump, run or play, or unable to go for the long walks he or she is accustomed to, he/she pet may be experiencing symptoms of osteoarthritis. You might notice your pet adjusting his/her gait in an attempt to reduce pain that occurs with certain movements. This often results in decreased range of motion in the joints, loss of muscle mass, and eventually, loss of function. 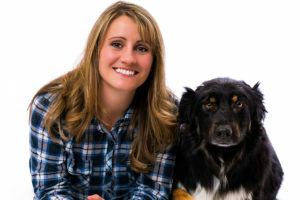 In more advanced stages, there can be visible lameness (limping), or obvious decrease in mobility where a pet may not even be able to rise without help. If the pain gets severe enough, he/she may have a decrease in appetite and or desire to interact with the family. Many owners often describe their dog or cat as “just getting old”. In reality, they could be suffering from some degree of arthritis, and need help managing their discomfort. There are many options available to treat osteoarthritis and one of the most promising is stem cell therapy. Yes, I said stem cells! This novel treatment is a promising option for some pet conditions. The most common and successful veterinary use of stem cells treats osteoarthritis in dogs, as well as injuries to bones, joints, tendons, ligaments, and the spinal cord. 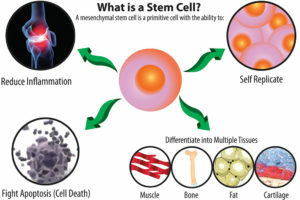 Stem cells are undifferentiated cells of the body that have the ability to divide and become differentiated into specialized cell types that help form specific tissues or organs like skin, muscle, bone, cartilage, liver, nerves, and ligaments. 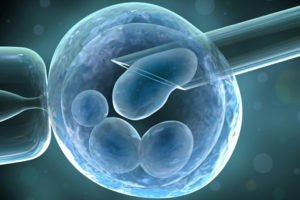 Think of them as powerful precursor cells, or “baby cells”, that have the ability to decide what type of cell they will ultimately become, and therefore, what tissue they will help develop. 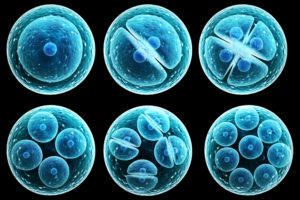 There are two main sources of stem cells, embryonic stem cells and adult stem cells. 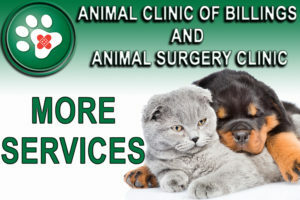 The stem cells used in veterinary medicine are usually adult stem cells, harvested from an adult pet’s own tissues. Historically, bone marrow was the primary source of tissue harvested for the collection of stem cells. But, over the past 14 years, adipose (fat) tissue has been a large focus on a source for harvesting stem cells. Dr. Felchle at the Animal Surgery Clinic of Billings extracting fat cells to be processed into new Regenerative Stem Cells then re-administered back into the patient. Adipose tissue is easy to collect with a minor surgical procedure that is well tolerated by our furry patients. Because stem cells in an adult animal’s fat tissue are essentially dormant, or “asleep”, the tissue must undergo a specialized process to isolate and awaken the cells so they are ready to go to work, healing damaged tissue once reintroduced (injected) into the areas of need. In the past, this isolating and awakening process required a special lab to complete, but with new technology and equipment, and appropriate training, this process now occurs in a single day at our veterinary facility where we do have the appropriate specialized equipment for this important process. What are the Stem Cell Applications? While stem cells in humans are used for a variety of diseases, stem cells in our pets have primarily been studied, and used, as healing cells to aid in the treatment of orthopedic conditions like osteoarthritis and tendon or ligament injuries. Common orthopedic injuries using stem cells are often combined with surgery and/or physical rehabilitation therapy. Stem cells are injected into pets suffering from cranial cruciate ligament tears, Achilles tendon injuries, and various other ligament/tendon type injuries. The stem cells are injected into the damaged joint(s), ligament, or tendon. Once at the site of damaged tissue, as in damaged or degrading cartilage seen with osteoarthritis, or tendon/ligament tears, the cells will initially signal several healing factors to the area to decrease pain and inflammation. Eventually, the stem cells will then begin to rebuild or help repair the damaged cartilage or fibers. 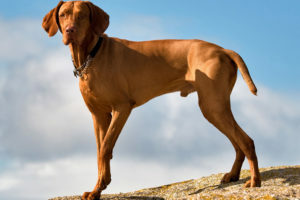 An overall, happier, more active and playful dog or cat! The most common areas we see joint pain in cats and dogs occur within the shoulders, paws and hips. If you see any of the following symptoms or behaviors from your dog or cat please contact your veterinarian as soon as possible. 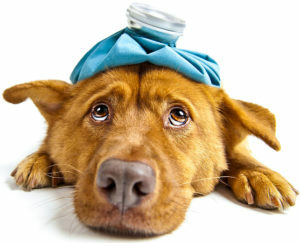 If you feel your pet may be suffering from osteoarthritis or orthopedic disease, even if it is mild, please seek veterinary care to have your pet evaluated and to discuss the options available to give your pet the relief he/she needs and deserves. As with any disease or condition, the earlier the diagnosis is made and the earlier intervention occurs, the better the long term prognosis for your pet’s quality of life. 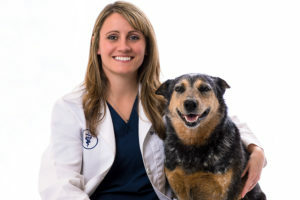 Call us at 406-252-9499 to schedule an appointment with one of our veterinarians today to see if your dog or cat is a good candidate for regenerative stem cell therapy.